Housing affordability is central to other national priorities, like health care, economic growth, food security, education, civil rights, and more. But the affordable housing crisis has reached historic heights, most negatively impacting low-income people. Federal housing assistance is already chronically underfunded and currently faces unprecedented threats. Proven solutions exist – what’s missing is the political will to implement the solutions at the necessary scale. Opportunity Starts at Home is a dynamic, long-term, multi-sector campaign to meet the housing needs of the nation’s low-income people. 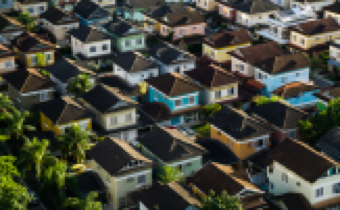 Various sectors are recognizing that affordable homes are inextricably linked to their own priorities and concerns, and housing advocates are realizing that they cannot do this work alone. Going forward, a diverse range of stakeholders from various sectors are necessary to generate widespread support and to effectuate federal policies that protect and expand affordable housing. The campaign is a multi-faceted effort that works closely with strengthened state-based organizations to impact federal policy. It deploys policy analysis, communications, and advocacy to impact opinion leaders and policymakers. The campaign has a full-time dedicated staff and is leveraging the capacity of participating organizations. The Opportunity Starts at Home Steering Committee represents a wide range of leading national organizations that are supporting the goals of the campaign and working together to address the affordable housing crisis. It consists of the National Low Income Housing Coalition, National Alliance to End Homelessness, Center on Budget and Policy Priorities, Make Room, Children’s Health Watch, Catholic Charities USA, Children’s Defense Fund, Community Catalyst, Food Research & Action Center, NAACP, National Alliance on Mental Illness, National Association of Community Health Centers, National Education Association, and UnidosUS. At the same time, we will act to defend existing rental assistance and other targeted housing resources from harmful cuts. Student achievement is maximized when students can go home to stable, affordable housing. A quality affordable home is a prescription for good health. It is linked to prevention of long-term health problems and promotes healthy, productive lives. “unfinished business” of civil rights and lies at the core of many inequities. When people live in homes they can afford in safe neighborhoods with quality schools, their children are more likely to go to college and climb up the income ladder as adults. When rent eats up hard-earned paychecks, families have less disposal income to buy enough nutritious food. Individuals transitioning out of the criminal justice system need a good place to call home so that they can reconnect with society and rebuild their lives. After having served our country bravely, veterans need access to good affordable housing, so they can thrive in the very neighborhoods they swore to defend.